The Short Version: With a commitment to changing the way people grow and eat their food, Wolfe’s Neck Center for Agriculture & the Environment is a one-of-a-kind place on the coast of Maine. Located on more than 600 acres of preserved landscape, the Center offers primitive camping and educational events, among other activities, that bring people together. “Food is always a conversation-starter,” said Marissa Mastors, Digital Communications Manager. “Many of our events feature local food grown on the farm or nearby and beverages brewed right down the road. Food is always central to the connections formed here.” From farm-to-table dinners to gardening workshops, consider planning your next trip to one of Maine’s most sustainable destinations. Located just five miles from downtown Freeport (home to L.L. Bean’s original storefront) and on the north shore of beautiful Casco Bay, Wolfe’s Neck Center for Agriculture & the Environment has a colorful history that dates back to just after World War II. Wolfe’s Neck Farm was the creation of LMC and Eleanor Houston Smith, summer residents from Philadelphia, who came to the area just after the war when the economy was failing and farms were going back to forest. 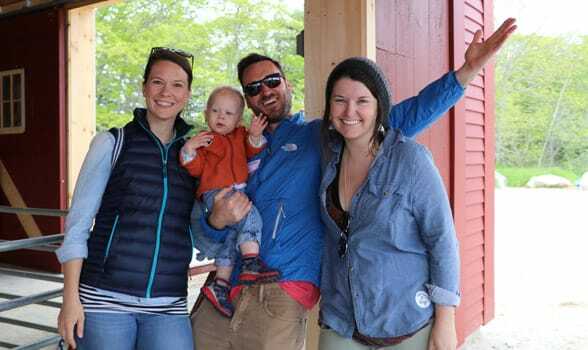 “They were committed to the future of Maine farming, the new idea of organic agriculture, and conservation and preservation of open space,” said Marissa Mastors, the Digital Communications Manager for the Center. The Smiths were also proponents of maintaining public access to the sea and the preservation of historic buildings and sites. In the 1950s, the couple started an organic beef farm and began establishing a series of 19th-century farmsteads, which is where Wolfe’s Neck Center continues to operate. Wolfe’s Neck Center’s mission is to create a healthier food system and create a community of people who truly care about where our food comes from and how it’s grown and eaten. In 1997, the farm became a public nonprofit and, in 2017, changed its name to Wolfe’s Neck Center for Agriculture & the Environment. The name, Marissa said, reflects the organization’s new mission to transform the relationship people have with farming and food for a healthier planet. Wolfe’s Neck Center draws upon a rich history of innovation and experimentation to continue its legacy. Through regenerative farming, innovative soil health research, and visitor interactions, the land is now used as an educational resource to create a healthier planet for all. 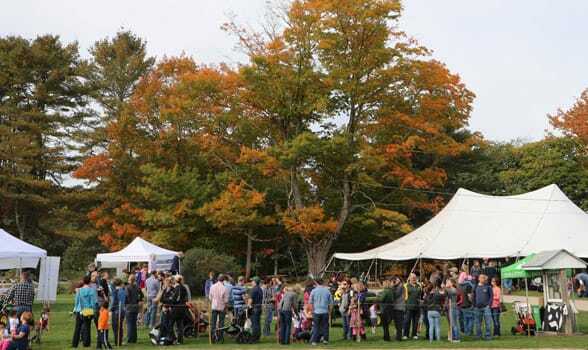 Wolfe’s Neck Center hosts thousands of people each year with unique events and workshops, from farm-to-table events featuring local chefs and foods at the peak of their season to hands-on community programs that give visitors a deeper sense of the organization’s mission. Wolfe’s Neck Center hosts dozens of events throughout the year that educate people and bring them together with those who have similar beliefs, values, and lifestyles. 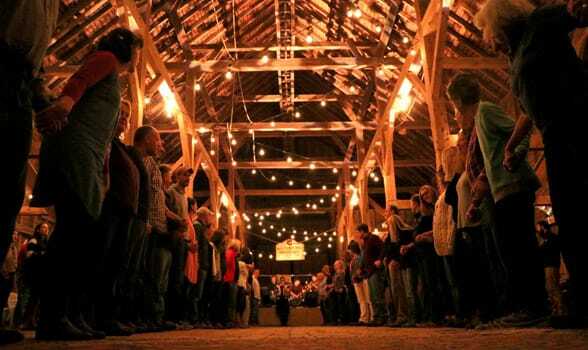 A number of educational workshops also help people come together. The Backyard Gardener Workshop Series is designed for small-scale gardeners looking for tips for their home garden — and the Dig Deeper Series focuses on sustainable agriculture, food, dairy farming, and climate change. An award-winning campground situated on 626 acres and four miles of oceanfront, Wolfe’s Neck Center has been the setting of romantic getaways for more than five decades. The campground, which welcomes visitors from all over the world, features 130 pet-friendly campsites made up of tents-only areas, electric/water sites, and three waterfront cabins. Not only can people learn at Wolfe’s Neck’s Center, but they can also celebrate. Whether it’s visiting the organic gardens or grabbing a bite at the Farm Café, campers will never run out of ways to connect with each other. Visitors can rent bicycles May through October and enjoy the peaceful country roads and scenic vistas. There are also kayak and canoe rentals to explore the calm waters of Casco Bay, including Googins Island, a protected osprey habitat. Whether visitors are 3 or 103, Wolfe’s Neck Center brings them together to learn the ins and outs of farming through informative and entertaining camps, programs, and apprenticeships. Check out the organization’s Community Supported Agriculture (CSA) program — a 60-member program that provides locals with weekly produce baskets for 17 weeks. Plus, it’s all harvested directly from the Center’s organic farm. The weeklong Farm Camp Sessions and Organic Dairy Apprenticeships is where participants learn hands-on about sustainable agriculture and ecology while caring for livestock, digging in the gardens, and making new friends. Nationwide, the average age of dairy farmers is approaching 60, and the number of farms producing milk is in decline. This first-of-its kind program allows apprentices to learn hands-on in all aspects of certified organic dairy operation through a two-year residential apprenticeship program for new and transitioning commercial organic dairy farmers. Smaller programs include Farm Explorers, Farmer for the Morning, Goat Hike, and Afternoon Milking. “Whether it’s talking to one of our farmers who grew the food in your CSA basket, chatting with a neighbor at the Farm Store, or sharing an ice cream at the Farm Café, food is always central to connections formed here,” said Marissa. With over 200,000 residents and one in four children unsure of where their next meal will come from, Maine is the most food-insecure state in New England, according to Wolfe’s Neck Center’s website. Thanks to funding from Harvard Pilgrim Health Care Foundation’s Healthy Food Fund, the organization has been working on creating systems for year-round farming to help offset the need for fresh produce during the winter. 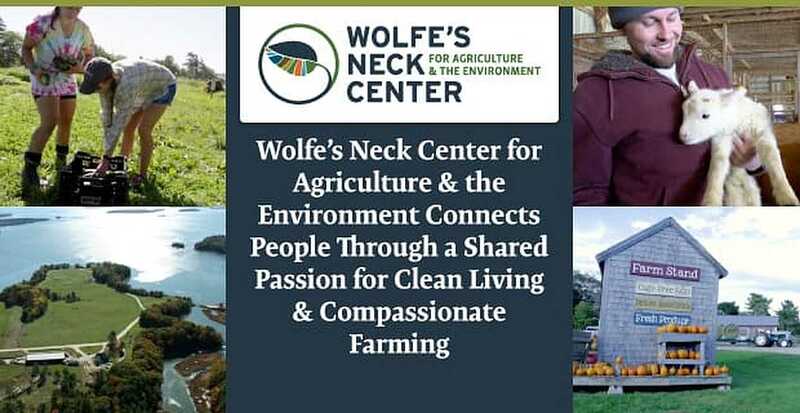 Wolfe’s Neck Center strives to play a leading role in shaping the future of sustainable agriculture by training new farmers, inspiring people to make informed food choices, and facilitating farm-based education and research. The team believes agriculture can and must play a role in mitigating climate change and that Wolfe’s Neck Center is uniquely positioned to be a leader in this effort. Wolfe’s Neck Center wants to be a leader in the sustainable agriculture industry, and that starts with encouraging people to make more informed food choices. Marissa explained that, with as much as 15% of greenhouse gas emissions currently coming from agricultural activity, environmentalists and farmers need to find ways to reduce and offset this by capturing carbon in the soil. 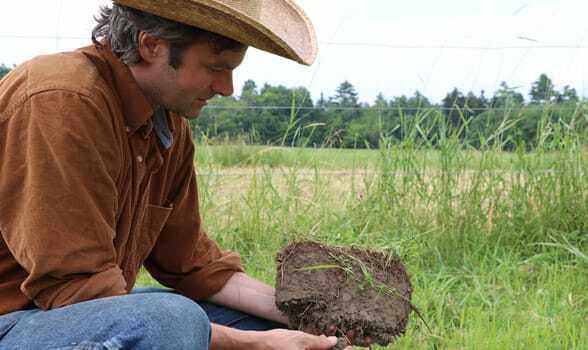 Wolfe’s Neck is committed to finding solutions to this problem through regenerative agriculture: the use of farming and grazing practices that rebuild organic matter and restore degraded soil. On a large scale, this could reverse the effects of climate change by pulling excess carbon out of the atmosphere and storing it in the soil. From oceanfront camping to hands-on workshops, annual events and a future bright in sustainable agricultural and farm-based education — Wolfe’s Neck Center is a multi-faceted New England destination perfect to connect with others who care deeply about clean living and compassionate farming.